Patients living in South Florida, near Palm Beach County who are looking for ” Platelet Rich Plasma Injection Therapy Clinic in Jupiter ” or “Jupiter PRP Injection treatment Clinic” online have found their best option. NovaGenix offers platelet rich plasma treatments that are effective and affordable. There are many doctors who now see the benefits of PRP and are starting to utilize plasma injections in their practice, yet with years of experience with platelet injection therapy, NovaGenix has performed thousands of PRP injections and is one of the most experienced PRP doctors near me to offer treatment, in Jupiter, Florida. There is a reason why people who rely on their body for their carreers come to chose us over the many other clinics in the West Palm Beach area for PRP treatments. We are the most experienced, professional and affordable PRP center in South Florida. 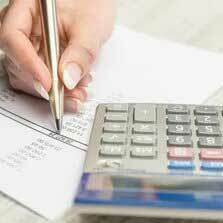 We have done so many procedures that we are able to streamline the process and make it more cost effective and this allows us to offer procedures that are fair and reasonably priced. Having treated professional athletes, military, police and fire as well as regular patients of all ages with a wide variety of chronic pain and other ailments, our physician is one of the Top Rated PRP specialists in Florida, so make sure to call today and schedule an appointment with us today! PRP Injections Near Me in Palm Beach and h surround areas at NovaGenix should be your first consideration. What is a PRP injection used for? Platelet Rich Plasma Injections can be used to treat a variety of conditions. Orthopedic PRP treatments may benefit patients in several ways, including helping reduce inflammation, alleviate pain, stimulate tissue repair and initiate healing and growth of healthy cells. Some examples are PRP Knee injections, for Back Pain, Platelet Rich Plasma meniscus therapy, Shoulder injections and PRP for tennis elbow to name a few possible examles that we see quite often. 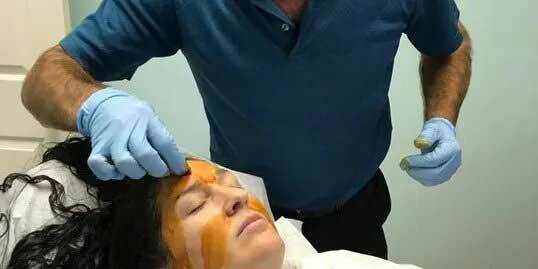 PRP injections for cosmetic procedures are now becoming very popular with men and women. Living in South Florida can cause severe damage to our skin and this becomes most noticeable on our faces. Platelet Plasma injections can be used to revitalize and rejuvenate the skin, giving a more youthful and healthy glow, reducing wrinkles, sun spots, increasing elasticity and stimulating new collagen cell growth. For men or women starting to lose their hair, PRP injections can help reactivate hair follicles to stop the process of thinning and receding and even reverse the process, producing thicker, fuller hair lines after just a few sessions and a few short months. PRP is 100% natural, safe and effective for many potential health concerns and NovaGenix can offer the most effective PRP treatments available in The Jupiter and West Palm Beach area. The prices of PRP will vary from one patient to the next based on the type of platelet rich plasma injection and a few other factors. The medical complexity of the injection may affect the total costs, so for example, an injection in the elbow may cost less than a patient receiving a series of spinal injections. The total number of injections may vary as well. Some clinic I’ve been told charge PER injection. We treat the patients condition as a whole and don’t have to worry about limiting the procedure based on a price limit set by the patient. We offer the best care at the most fair and reasonable prices in the South Florida area. In health care you get what you pay for, and your health is to important to risk for deep discounts. The costs of PRP therapy at NovaGenix takes in account the experience and expertise of our physician, without trying to break the bank. 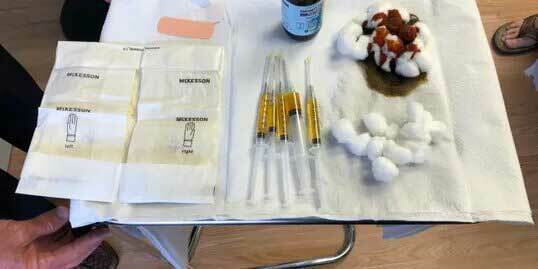 PRP costs can start at $500 and up depending on the total number of injections (Hair Loss having the most) and complexity of the anatomy needing care Because its difficult to give more than just a ball park guess as to the costs of PRP, we can offer all of our patients a free initial consultation so that we can give an actual quote based on each persons individual situation. NovaGenix Platelet Rich Plasma Injections offer state of the art PRP therapy for patients in South Florida. We’re located in Palm Beach County in Jupiter, Florida and offer Plasma Injections for a variety of orthopedic and cosmetic procedures. Patients looking for PRP injection treatment near me, and live in South Florida can call us to check availability to set appointments for treatment. Contact us today at 561-277-8260 and speak to us about how we can help you with PRP. Recently, PRP therapy has been introduced as a method of rejuvenation for the skin, helping to accelerate normal healing processes and cell renewal by stimulating collagen formation, revascularization (increasing blood supply) and subcutaneous repair. Using a patient’s own blood means that there is absolutely zero risk of adverse reactions to the treatment, since no drugs are involved. PRP can also be used as a ‘natural filler’ to help restore volume where necessary, helping to create a smooth natural fuller look and glow to the skin. PRP for Skin Treatments at NovaGenix can help you look younger, fresher and eel more confident and happy about your appearence. How Does PRP Work For Face Rejuvenation? Our blood contains platelets, which help to clot the blood and repair damaged tissue within our bodies. They also release cells called growth factors, which stimulate the growth of new, healthy tissues. When PRP gets injected into the skin at NovaGenix in Jupiter, it begins to stimulate and activates dermal fibroblasts, which are a component in our skin that plays a key role in helping to maintain the skins integrity, elasticity and youthfulness, causing the synthesis of cellular renewing byproducts such as collagen, adhesive molecules and cytokines. Research has shown PRP for Facial Injections to be highly effective in the treatment of wrinkles and for skin rejuvenation due to its growth factor activity..and as an added bonus, it’s 100% Natural! In a recent study published in the Journal of Drugs in Dermatology, Scientists discovered that Platelet-Rich Plasma treatments improved skins wrinkles, texture, elasticity, volume and skin tone. Also, patients reported an 82% overall improvement in their skin tone, A 52% improvement in wrinkle appearance, 87% improvement in their general appearance, and 100% satisfaction with the treatment outcomes. For anyone concerned with their appearance and want to look younger, healthier and improve their appearance, PRP injections can be the perfect treatment option. NovaGenix PRP facial Treatments in Palm Beach, Florida can help you, so call today to schedule a FREE initial consult and evaluation. Human blood is composed of 93% red blood cells, 6% white blood cells, 1% platelets and plasma. The Platelets are best known for their ability to clot and to stop bleeding, however, they have a much more significant role in the process of healing, as human platelets are also a critical in tissue repair… The cytokines and growth factors in particular can cause a major increase in the rate and overall repairing of injured tissue. PRP, like any other medical procedure, varies from one person to the next but usually you will start to see the predictable trends. The first day after PRP injections, most patients say the feel either minor discomfort, or almost nothing at all, at the injection site from the Plasma induced inflammation from the injections. The feeling of stiffness quickly goes away, often within a day or two and could last up to a week (though that’s rare). After the first week, most patients report that they feel a decrease in pain which continues over the next several weeks. They also will report improvement in their mobility as the PRP starts to repair, fix and heal the damaged tissue around the injury. The total effect of PRP isn’t usually seen until about 4-6 weeks after the procedure which is when a patients can tell us about what percentage that they have healed, be it 50, 50, 70% or more. Variations are to be expected from one patient to the next, and will occur due to the fact that patients all have different severity and complexities of injuries. Other factors like a person’s adherence to the doctor’s pre and post PRP advice, age, lifestyle habbits, medications, and their DNA play major role as well. The once thing that’s for sure is that PRP can only help people and just about every patent who has undergone the procedure have been very impressed with the benefits and results at NovaGenix PRP center in Jupiter, Florida. Learn more here about PRP and how it can be used to treat sports injuries, chronic pain, orthopedic conditions and even for cosmetic procedures like a PRP face lift and hair loss treatments. Our Jupiter, Clinic is the best in Palm Beach, Florida. Email us your PRP injection Questions! Call NovaGenix Platelet Rich Plasma Clinic in Jupiter, for info and to schedule an appointment. We love our customers, so feel free to call us during normal business hours. Ask us about the benefits of PRP injections and the costs of platelet rich plasma therapy at NovaGenix, Jupiters best anti aging and wellness center in Palm Beach County.